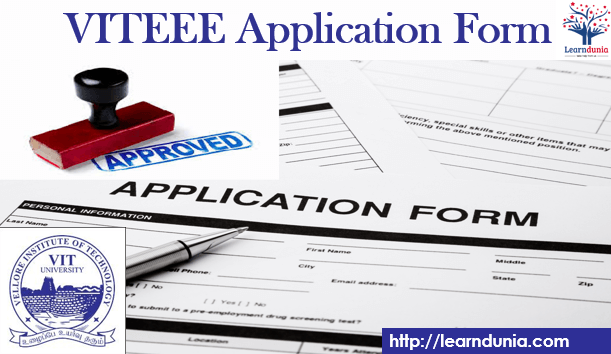 VIT university previously announced their eligibility criteria for VITEEE Exam. VIT university released age, qualifying marks, attempt, which are requirement to fulfills admission condition in B.tech programs which is offered by the VIT Campuses. Those are not able to fulfills the eligibility criteria will not able to register for VITEEE 2019. It is advised to the candidates that fill your original data into the application form because this detailed matched with your academic details those who fill fake information while filling application form, they will led their application form towards cancellation. The details which you filled in the application form will be matched with the original documents while admission process. Nationality: Candidates must be an Indian Citizens, those who are from outside can also apply. Candidates must have intermediate or 2 year pre university examination conducted by the recognized boards. Secondary certificate for documents verification. An NIOP students can also apply. Those who are from NIOS will also eligible. Candidates who secured 60% marks in 10+2 or equivalent with Physics, Chemistry and Mathematics/Biology. Those who are from SC/ST and from the North east need to secure 50% marks in Physics, Chemistry and Mathematics/Biology. Age Criteria: A candidate who’s date of birth fall on or after 1st July 1996 will be eligible. Those who have all three subjects (Physics, Chemistry and Mathematics) in their academics, will be eligible to apply for all the 20 B.Tech. Degree Programmes offered by the university. Those who have Physics, Chemistry and Biology in their qualifying examination will be eligible for B.Tech, Bio-Medical Engineering and B.Tech. Biotechnology programmes. They can also appear for B.Tech. Computer Science and Engg (Spec.in Bioinformatics) , but if they can take Mathematics as compulsory subjects in their academics. Following are the very important documents need at the time of registration. Here you can check the Exam Pattern which will help you to understand the examination difficulty level and type of question and etc. Mode of Examination: The exam will conducted via only online mode(Computer Based). Duration: The authority will give a total 150 minutes (2 hour 30 minutes) time duration to attempt it. Type of Questions: Multiple choice questions(MCQs) will be asked in the examination. Number of Question: Total 125 questions will be asked in the examination. Total Marks: Contains 125 marks. Marking Scheme: For each correct answer 1 marks will be given. No negative marking for incorrect answer. So it is suggested to the candidates that attempt more and more questions.